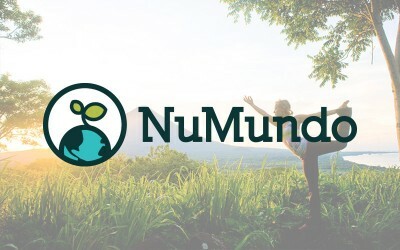 How can Permaculture revolutionize Tourism? Is it possible to travel and still leave a net-positive impact on the planet? How can you have a deeply unique cultural experience, learn, and serve communities at the same time? All of these questions will be explored in these monthly blog posts, as I report my experiences with the PermaculTourism Initiative, a growing global Permaculture Service-Learning Initiative. I’ll share the experiences of myself, my team, and friends met along the way, with the hope of inspiring a new model for travel which goes beyond Sustainable-Tourism, into Regenerative-Tourism, generating more eco-social health through international community service-learning opportunities. 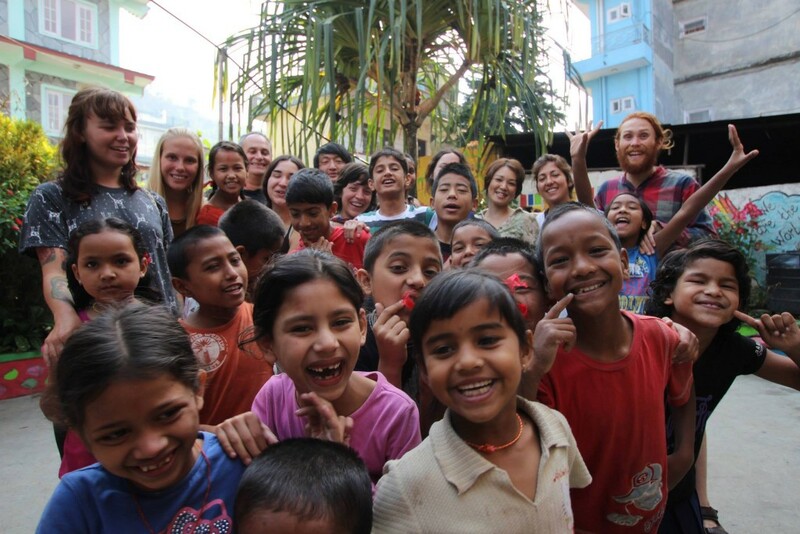 Just before I went to Nepal for the first time in November 2012, I took part in a service retreat at the Bhatti Mines School, in one of the most poverty stricken areas outside of Delhi, India. I’ll never forget the words of the school founder, Santosh Singh, when he said that “the children here absorb more and show more progress in the 10 days that you all come each year, than they do the whole rest of the year”. It really showed me a clear example of how much benefit can result when global communities come together with good intentions. This paved the way for the PermaculTourism Initiative and our work in Nepal, working in the Himalayas with a village-school, a Tibetan-refugee community, a children’s home and two organic farms. The feedback from these people has been very similar to Santosh’s statement at the Bhatti Mines School. When we encounter others who come from other parts of the world, naturally our willingness to learn, and our capacity to learn and impact our surroundings is increased immensely. Permaculture, in a nutshell, could be described as ecological systems design. Permaculture is an interdisciplinary model for creating solutions to ecological and social issues, with ethics at it’s root. There are three simple ethics in Permaculture: Earth Care, People Care, and Resource Share. All too often, global aid results in greater harm to the community and/or environment because they don’t operate on a well balance system of ethics. The model of “aid” can create unsustainable dependencies rather than empowering communities to create their own solutions and deepen their relationship to their environment. 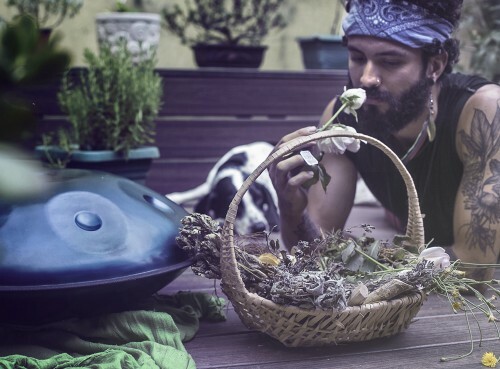 I believe that Permaculture is a highly empowering model for communities to follow worldwide, and that tourism can be a vehicle for establishing more ecological awareness, implementing regenerative-design systems, and sharing solutions which are culturally and climatically appropriate. The PermaculTourism Initiative is now in it’s second year of operation, hosting a Permaculture service-learning adventure in the Himalayas each spring. 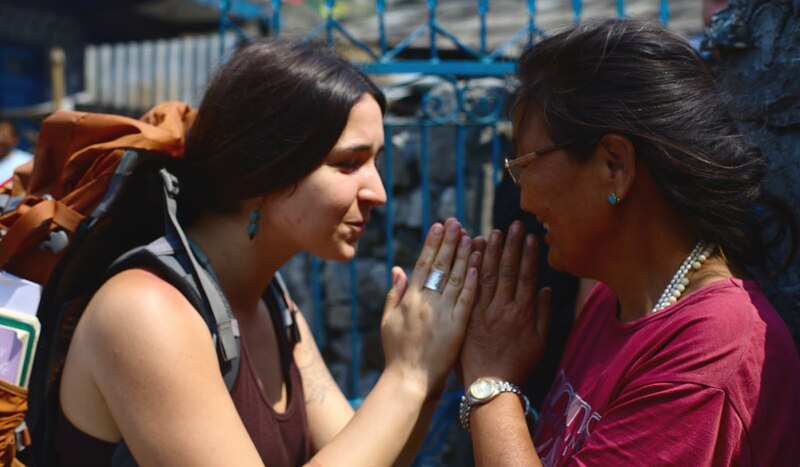 This adventure is an opportunity for global-participants to experience Himalayan life at a more intimate level than they could in the typical tourist circuit, while learning practical Permaculture skills and serving local communities. This year, our Permaculture Adventure is taking place April 1-18, 2015, and will include implementing Permaculture infrastructure at the Rainbow Children’s Home & Organic Farm, Prakriti Himal Permaculture Farm, and the Shree Jana Adarsh School. We will also visit the Tibetan Community of Chhairo to learn how they operate as a community. Our group of 8-12 participants from all over the world will learn the fundamentals of Permaculture, primarily through practice, learn Himalayan traditional skills directly from the local people, and experience the region in all of it’s unique features: mountains, hot-springs, caves, water falls, temples, villages, forests, etc… Our work will be guided by observation of the natural systems and the cultural systems of the region, to help inspire creative solutions to the growing problems facing this region. Our practical service-learning lessons this year will include soil-building, planting ecological gardens and food-forests, bee-keeping, aquaculture, some basics of natural building, earthworks, water management, and more! The team guiding this adventure will include myself (Brandon Bodhi Denton), Michael Smith, Buddhi Ratna Sherchan (Senior Horticulturist, and “Apple-Father” of Nepal), and Bhupen Pun (of Prakriti Himal Permaculture Center). In the last three and a half months, my own travel had taken me on a unique journey through Nepal, and then to Northern Thailand, where I co-facilitated a Permaculture Design Course at Kailash Akhara Permaculture Center, along with Ben Dunn and Brian Newhouse. The course lasted 3 weeks, with 12 participants from 7 different countries: Australia, China, Turkey, United States, Norway, Canada, and Germany. The diversity of this group created a highly inspiring, dynamic, learning-experience. 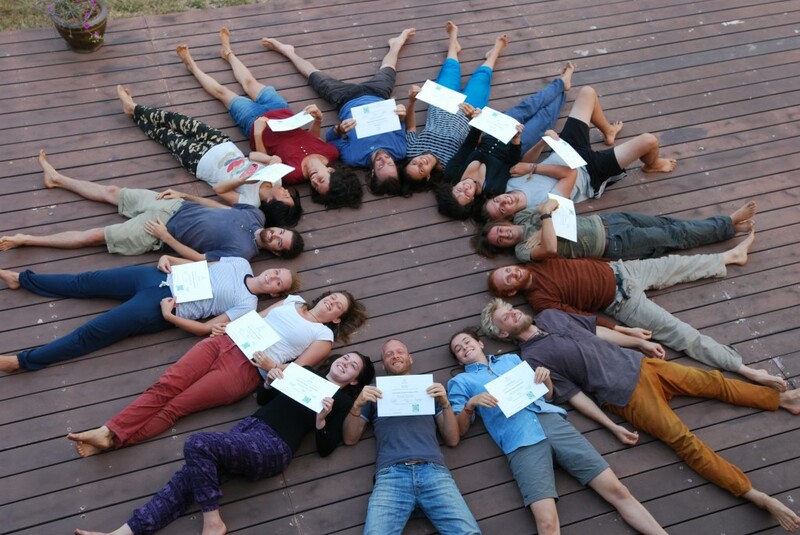 These 12 new Permaculture Designers have already begun to put their newly gained design skills into action! Now, after three weeks engaged in some developing projects in Bali (more to come later on the work in Bali), I find myself back in Nepal, co-facilitating another Permaculture Design Course along with the well respected local teacher, Govinda Sharma, at his amazing Organic Farm, HASERA, overlooking the Himalayas. Again, we’ve got a very diverse group of 15 participants from 11 different countries, and soon their will be more inspired designers going out into the world, ready to put regenerative design into action!